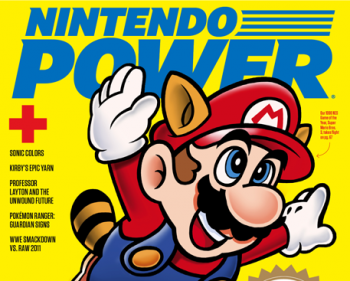 "Difficult to work with" Nintendo is uninterested in continuing Nintendo Power. For over two decades, Nintendo Power has been one of the most prominent gaming magazines available. The first issue was released in the summer of 1988, and it was published by Nintendo from 1989 to 2007, when Future US took over. Now Nintendo Power is coming to an end after 24 years, with Future US planning to stop publishing the magazine. The news was originally reported by Ars Technica, and confirmed by Nintendo Power Senior Editor Chris Hoffman on Twitter. Like many publications in the magazine industry, Nintendo Power struggled as online news sources became more and more popular. Nintendo Power saw a 10% decline in circulation in the first half of 2012, with a current monthly readership of about 475,000. According to Ars Technica's source, Nintendo was "difficult to work with," and uninterested in renewing its contract with Future US. Hoffman stated on Twitter that the staff of Nintendo Power will "try to make the last issues memorable." There's no word yet on how this will affect current subscribers, or exactly how many more issues are left before Nintendo Power shuts down completely. Best of luck to the magazine's editors and staffers, who are reportedly being moved to other Future US publications.